WaterSim Arizona is a web browser-based user interface to a water balance model that mimics the water supply and water use dynamics for five distinct regions of the state of Arizona. The model uses the United States Geological Survey (USGS) data as a starting point to simulate future water supply and demand; water supply may decrease as a result of drought and water demand increases as population for a region grows. The model is used for our current DCDC research. WaterSim Arizona is delivered to the public in two ways. First, as an exhibit displayed through an iPad Pro within the Water/Ways Arizona exhibition. Second, as a web browser-based classroom version available to teachers for implementation in their classroom. Acting as a water manager, users may manipulate management policies pertaining to the water availability and use specifics associated with each region. This may include increasing the efficiency of water use by urban and rural water users, increasing or reducing the use of surface or groundwater, or other policies that are relevant to your local area. In this interactive game, your objective as a water manager gaming to optimize the water supply and demand projections for your region, is to bring into balance the various water users found in your region. Of course, there is no one answer because individuals, and regions, have different opinions about what they envision as a sustainable water future. 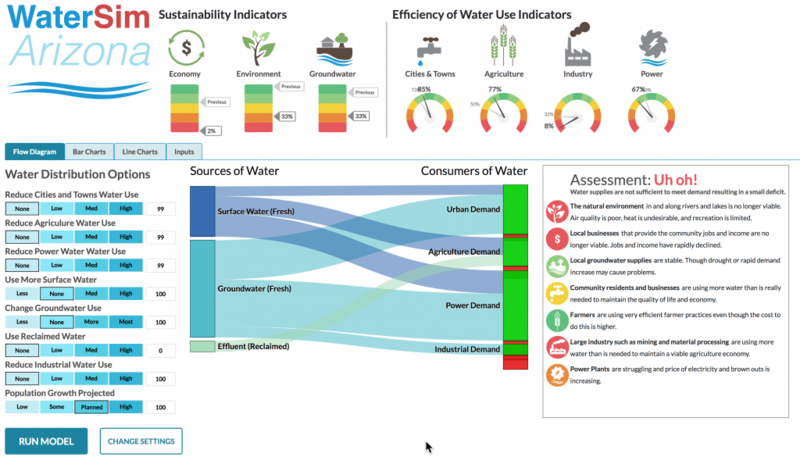 We have included help files in the interface to answer questions about the various policies, outputs from the simulation, and sustainability indicators—a snapshot that graphically displays how sustainable your choices are—to guide you in managing your water resources. Past generations created our current water systems, but new generations will need to develop building blocks for future water sustainability. Today, rural areas are struggling with water issues yet research shows rural youth lack connections to local history and a sense of belonging and engagement. 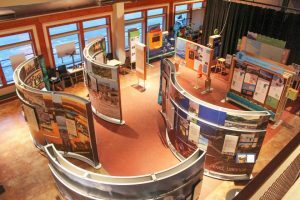 DCDC, Smithsonian’s Museum on Main Street, Arizona Humanities and Arizona Community Foundation have created a platform of education and engagement for grades 7-16 which will engage youth in conversations about their communities. Supported by a grant from the Ellis Center for Educational Excellence of the Arizona Community Foundation, DCDC is reaching out to grade 7-16 teachers to participate in our training on a STEM tool called WaterSim Arizona and a humanities experience called WaterStories. In conjunction with Arizona’s two-year tour of Smithsonian’s Water/Ways exhibition, our training will provide rural teachers with tools to integrate sustainable water issues into standard-based classroom activities. 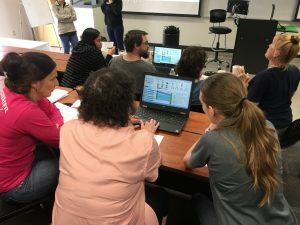 In the classroom, WaterSim Arizona will provide a unique hands-on, state-of-the-art immersive visualization modeling tool to understand the complexity of water sustainability in Arizona. Using WaterStories, students can express personal stories about water in their culture and communities. Learn the basics of water supply and demand in your Arizona region. Learn how the WaterSim Arizona model works and the curriculum which can be used by teachers and students. Learn about the humanities tool WaterStories. Learn how to use video and audio equipment to collect student WaterStories. Receive printed materials for classroom use. DCDC is offering stipends to middle, high school, and community college teachers to integrate WaterSim Arizona and WaterStories into their classroom curriculum. 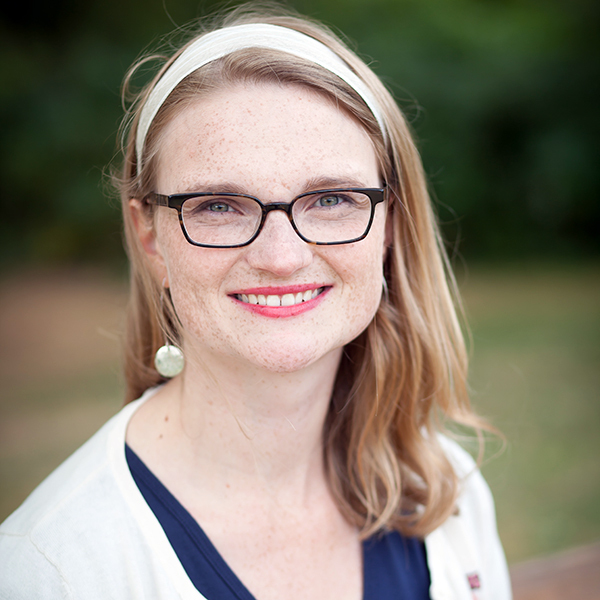 $500 stipend to cover teacher’s time for training and classroom planning. $500 stipend to teachers who implement WaterSim Arizona in their classroom. $500 stipend to teachers who implement WaterStories in their classroom. With long-term funding from the National Science Foundation, numerous faculty and staff have studied, modeled and adapted Watersim Phoenix into WaterSim Arizona. The Rural Arizona Water Education project is supported by a grant from the Ellis Center for Educational Excellence of the Arizona Community Foundation. 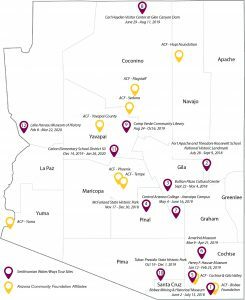 Established in 1978, the Arizona Community Foundation is a statewide philanthropic entity supported by thousands of Arizonans. Last year, ACF and its affiliates awarded more than $40 million in grants and scholarships, funding projects of some 3,000 nonprofit organizations, schools and government agencies. Visit Arizona Community Foundation.